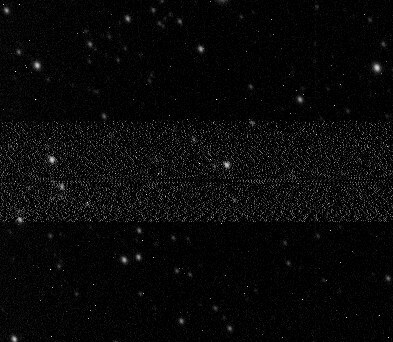 When that band covers your target, it overlays a great deal of noise that is difficult to remove. ImagesPlus noise removal reduces it, but you can be left with a light band. I could not figure out what the source was. At first I thought it might be AC line noise (I was running using AC power). Moving to battery power didn't get rid of it. Bad cables to the CCD were suggested by others, but lots of cable swapping didn't fix it. Maybe it was the CCD camera itself? Online searches didn't suggest the camera had any problems like that. I did see some implications of interference from other devices being powered by shared batteries, so I isolated the CCD. The noise remained. This was an intermittent problem, however. I didn't tumble to the cause until last week at Jeffers, while I was imaging M20/21. Almost every frame was noisy. For some reason I turned off the dew controller, and like magic the noise was gone. 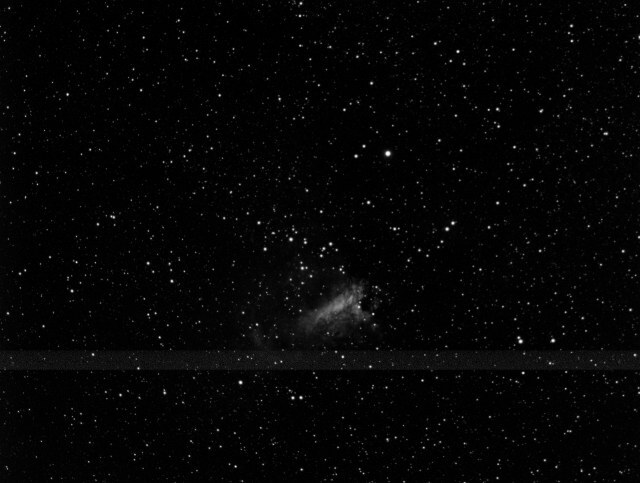 I imaged M17 the next night with no dew control (it wasn't needed) and every frame was free of the noise. 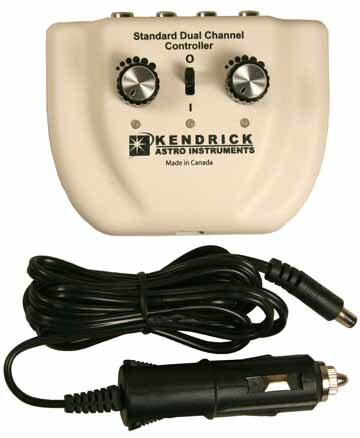 I immediately launched into more research and was happy to learn that Kendrick made an RFI-free controller that was in my budget range, the Standard Dual-Channel Controller (SDCC). $114 and shipped free from Astronomics. A night of imaging with the SDCC keeping everything dry produced images that were all RFI noise-free. 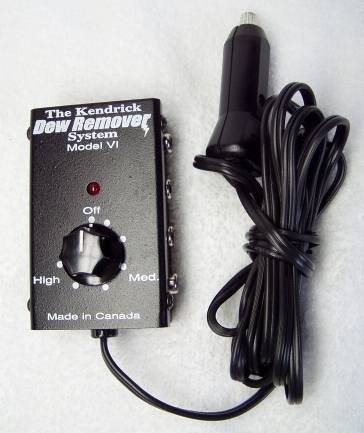 If you're imaging and seeing a lot of horizontal noise bands, it may be your dew controller.